CENTRAL INDIANA LUTHERAN SCHOOLS - Why Lutheran Schools? Lutheran Schools Provide a Strong Academic and Spiritual Foundation for Life. Parent​s choose Lutheran Schools for their strong tradition of providing spiritual growth and academic excellence for students and families. The LC - MS is a church body that values education. Lutheran schools are the Church's way to deliver that education to youth across the world. Lutheran schools are not just for Lutheran Christians. They're not even just for Christians. Lutheran schools can benefit all children and families in many ways. Some of the most noticeable benefits include small class sizes, loving and dedicated staff, a connection to one of the largest church and school networks in the US, and an unwavering dedication to making sure each child feels known and cared for. Below you will find some of the information that make LC - MS schools so special. The school system of the Lutheran Church - Missouri Synod has a large national presence with 2,029 schools (Early Childhood - High School) serving 185,968 students domestically and 4,190 students internationally. In addition to the Early Childhood through grade 12 schools, the Lutheran Church - Missouri Synod operates 10 colleges and universities across the nation (the Concordias). 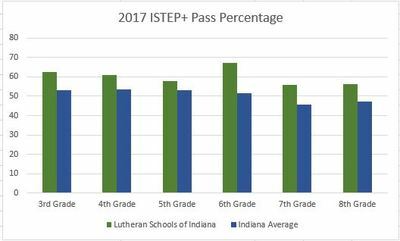 Lutheran School students consistently score above average on national and state assessments. 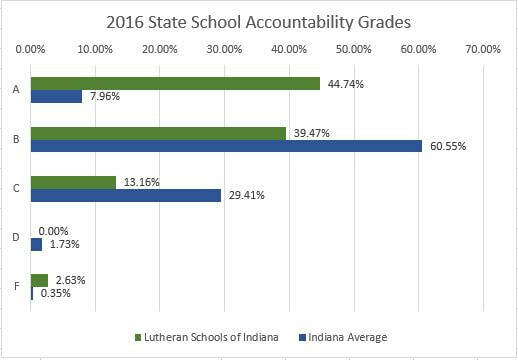 In Indiana, 99.3% of students in Lutheran high schools graduate, compared to the state average of 89.1%. Lutheran schools promote a spiritual and moral life that goes above and beyond the world's standards. The percent of Indianapolis Lutheran School students who qualify for free/reduced lunch is nearly 25%. Just over 25% of national and local Lutheran School students come from the minority population. This shows that families of all backgrounds seek schools that are safe, stable, and successful. 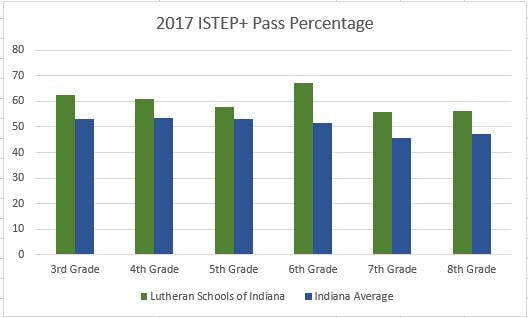 In a Christ-centered religiously integrated curriculum, Lutheran schools meet or exceed state standards for high quality schools. Through National Lutheran Schools Accreditation (NLSA) schools complete a rigorous self-study, are reviewed by a team of peers and implement initiatives that provide a continuing program of excellence for students (luthed.org/about-lutheran-schools, 2016).